Dec. 13, 2017, 10:10 a.m.
By Christine Schmidt @newsbyschmidt Dec. 13, 2017, 10:10 a.m. While testing out podcasts and leaning into obituaries and job postings, the eight-year-old, online-only VTDigger now has a team rivaling the size of the state’s largest newspaper, said VTDigger’s founder Anne Galloway. “Every time we get two nickels rubbed together, I hire another reporter,” Galloway said. Galloway built the nonprofit organization after her own layoff from a newsroom and now leads 14 journalists (they’re also hiring for a business reporter) and a business staff of five. In Vermont’s largest city, the Gannett-owned Burlington Free Press lists 16 reporters and editors, in addition to two photographers and a suite of business-side employees. (For comparison, Vermont Public Radio has 17 reporters on staff and the TV stations in Burlington have about the same number of reporters, in addition to photographers and producers. But that’s a different story.) 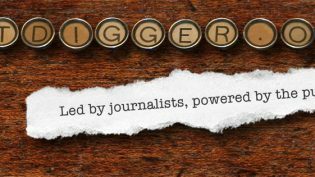 VTDigger is also one of the largest members, both in terms of people and payments, of the LION Publishers, which includes more than 180 local online-only news organizations in 42 states. After powering the site as a $20,000 one-man-band in its early days, in 2011 Galloway joined forces with group of businesspeople forming the Vermont Journalism Trust and eventually also obtained funding from various national and local foundations. She added a salesperson and a business manager that same year, and in 2012 she brought on the first additional reporter to the team, focusing on healthcare and energy. 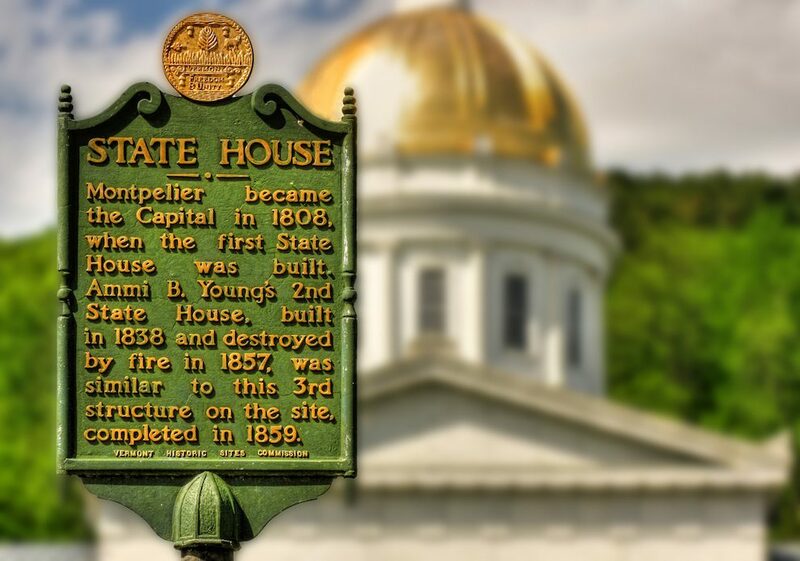 By 2014 Galloway had 12 team members; the next year came VTDigger’s first community reporters, and they’ve been creating bureaus to increase the organization’s statewide presence. Between 2014 and 2015, the team increased the revenues from $710,000 to just under $1 million thanks to a new donor page on the site and a membership campaign effort with MailChimp, PayPal, direct mail, and popups on the site. They also broke the news of fraud allegations at a ski area in northern Vermont, leading to the Securities Exchange Commission bringing charges against the area’s resort developers. This year alone, VTDigger hired five people (mainly on the business/infrastructure side) and is operating under a $1.5 million budget thanks to memberships, sponsorships and underwriting, and foundational support. Galloway noted that 75 percent of VTDigger’s early budget was provided by foundations, but in 2018 that percentage will be just 10 percent. In addition, nearly half of next year’s budget will come from reader donations (45 percent), underwriting (40 percent), and about 5 percent from reselling content to 15 other local Vermont outlets. The site is currently in the middle of its second fundraising drive of the year, asking readers to contribute $350,000 by December 31, and had previously raised $250,000 in a drive this spring. For the content-sharing portion, weekly newspapers can pay $40 per week for unlimited reuse of VTDigger content; daily newspapers pay $55 per week. VTDigger.org now has 200,000 unique visitors per month, in a state with a population of about 625,000. Another way to reach out to readers has been through podcasts, which started being tested sporadically about a year ago and are now published weekly thanks to one of those new hires: Michael Dougherty, VTDigger’s community editor as of April, leads the organization’s social media and analytics but also spearheads the reporting and production of the weekly podcast, The Deeper Dig. The most popular episodes have just under 1,000 listeners, and Burlington FM radio station WBTV broadcasts the weekly segment. “Once we had been putting out episodes for a couple of months, we were able to secure a sponsor,” Dougherty said. They experimented with a mid-roll ad for a 12-episode package with the sponsor, a Burlington health center, but are holding off on running more ads until the end-of-year fundraising drive wraps up. Podcast topics have ranged from Project Veritas founder James O’Keeffe’s talk in Middlebury to marijuana legislation to the economic opportunity of a state like Vermont that doesn’t have a major metropolitan area, but two burgeoning partnerships are bringing human interest to the community as well. In a recent reader survey, 25 percent of respondents said they obtain news through podcasts, but only six percent of respondents said they subscribe to The Deeper Dig. “That gives me a sense of how much room there still is to get existing, podcast-ready readers on board with our programs,” Dougherty said. Another project on VTDigger’s calendar for 2018 is the launch of its obituaries and job listings sections — you know, the stuff that newspapers used to make money off of. They’ve already built the wireframe and developed the business plan for the two — funeral homes, flower shops, medical centers, and nonprofits could potentially underwrite the obituary section, Galloway said, and other underwriters have been asking for help with connecting job applicants as well. “We don’t anticipate making a ton of money off of us this, but it will be nicer than Craigslist and less expensive than our competitors,” she added. POSTED Dec. 13, 2017, 10:10 a.m.
Schmidt, Christine. "Obits? As it grows, watchdog nonprofit VTDigger is taking on more of local newspapers’ jobs." Nieman Journalism Lab. Nieman Foundation for Journalism at Harvard, 13 Dec. 2017. Web. 18 Apr. 2019. Schmidt, Christine. "Obits? As it grows, watchdog nonprofit VTDigger is taking on more of local newspapers’ jobs." Nieman Journalism Lab. Last modified December 13, 2017. Accessed April 18, 2019. https://www.niemanlab.org/2017/12/obits-as-it-grows-watchdog-nonprofit-vtdigger-is-taking-on-more-of-local-newspapers-jobs/.